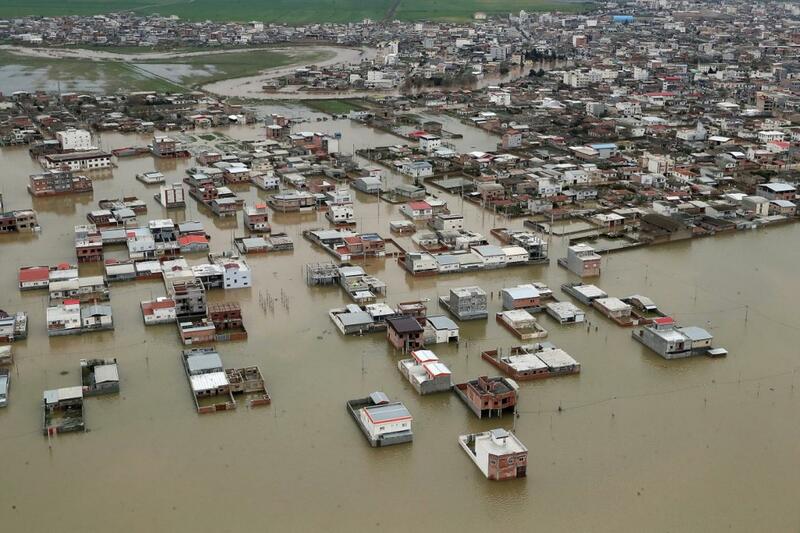 US sanctions have prevented Iran from obtaining foreign financial aid to assist victims of flooding that has killed at least 70 people, Red Crescent says. 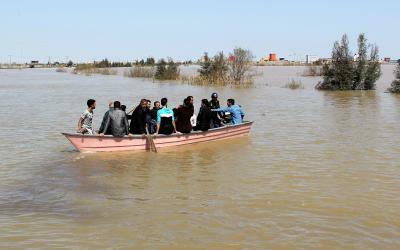 “Iran is under water,” said Sayed Hashem, regional director of the International Federation of the Red Cross and Red Crescent. “The scale of this crisis means that more help is needed,” he told the New York Times, which said that more rain was forecast in coming days. Aid groups are warning that the situation could get worse if the rains do continue, the NYT reported. Train lines have been washed away and neighbourhoods submerged. Footage posted to social media showed raging floodwaters sweeping cars from roadways and rivers bursting their banks, filled with muddy debris. “No foreign cash help has been given to the Iranian Red Crescent society. With attention to the inhuman American sanctions, there is no way to send this cash assistance,” the Red Crescent said in a statement quoted by Reuters. It said the group had received some non-financial help from abroad, which had been distributed to flood victims. The German Red Cross sent 40 inflatable boats and other rescue equipment. Several tons of food, water pumps and medicine have arrived from Kuwait, according to IRNA, Iran’s state-run news service, cited by the NYT. The flood disaster, arising from exceptionally heavy rainfall since 19 March, has left aid agencies struggling to cope and has seen 86,000 people moved to emergency shelters.